#APPSC Recruitment 2016-2017 . 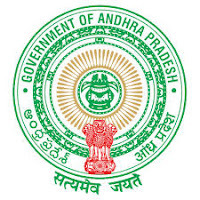 #APPSC Released Latest Job Notification to fill Degree Lecturers in various Government Degree colleges in Andhrapradesh.#APPSC DL Notification . Before apply the jobs carefully read the following details carefully .like education qualification , Age , and other details. Good academic record with a minimum of 55% marks or an equivalent Grade of B in the 7 point scale with letter grades O, A, B, C, D, E & F at the Masters Degree level, in the relevant subject, obtained from the Universities recognized in India.
. A relaxation of 5% marks may be provided, from (55% to 50% of marks) at the Master’s Level for the SC/ST/PH category. A relaxation of 5% marks may be provided, (from 55% to 50% of marks) to the Ph.D., Degree holders who have passed their Master’s Degree prior to 19.09.1991. Age Limit for APPSC Degree College Lecturer Recruitment : No person shall be eligible for direct recruitment if he/she is less than 18 years of age and if he/she is more than 42 years of age as on 01/07/2016. As per G.O.Ms.No.396 General Administration (Ser-A) dept., Dt.05/11/2016 the upper age limit is raised by 8 years i.e., from 34 to 42 years. Oral Test in the shape of Interview only for those qualified as per Rules. The proforma Application will be available on Commission’s Website (www.psc.ap.gov.in) or (http://appscapplications17.apspsc.gov.in) from 29/12/2016 to 28/01/2017 (Note:28/01/2017 is the last date for payment of fee up- to 11:59 mid night).